Click slider to enlarge photos. 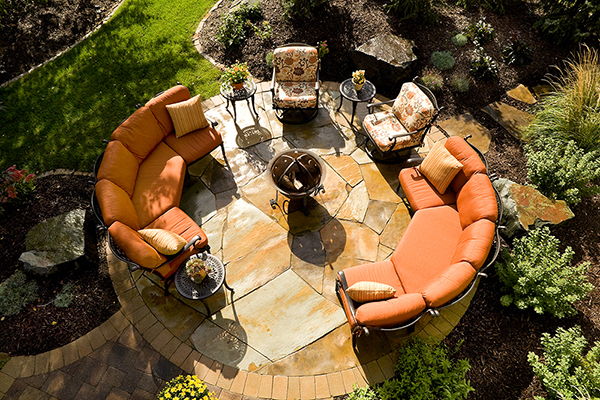 To create a welcoming backyard with year-round entertaining possibilities. 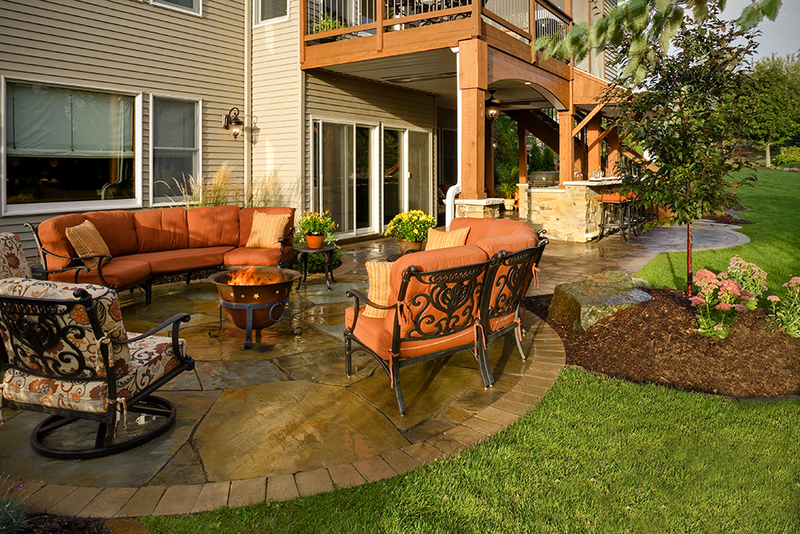 • Maximizing the potential of a standard under-deck space. • Analyzing the best way to create a four-season outdoor area. • Design, planning and managing various gas and electric needs. 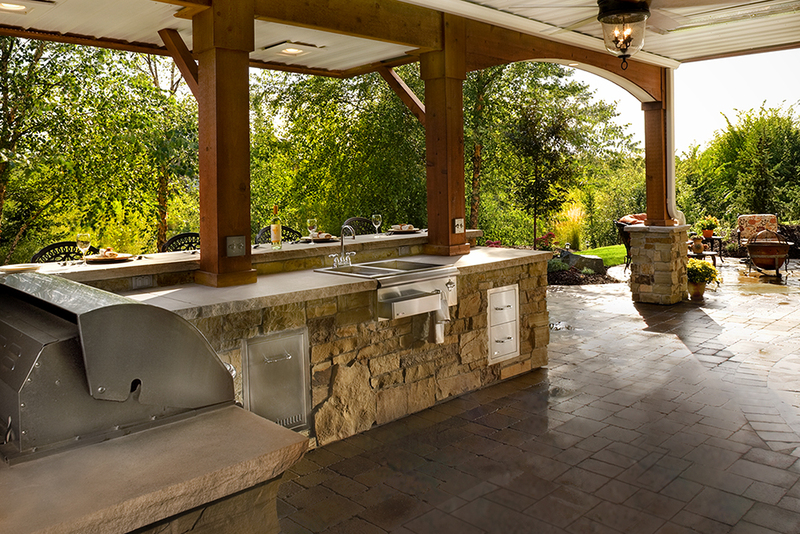 • Multiple entertaining spaces achieved with spaces for outdoor dining, a bar, a hot tub area and a fire pit patio. 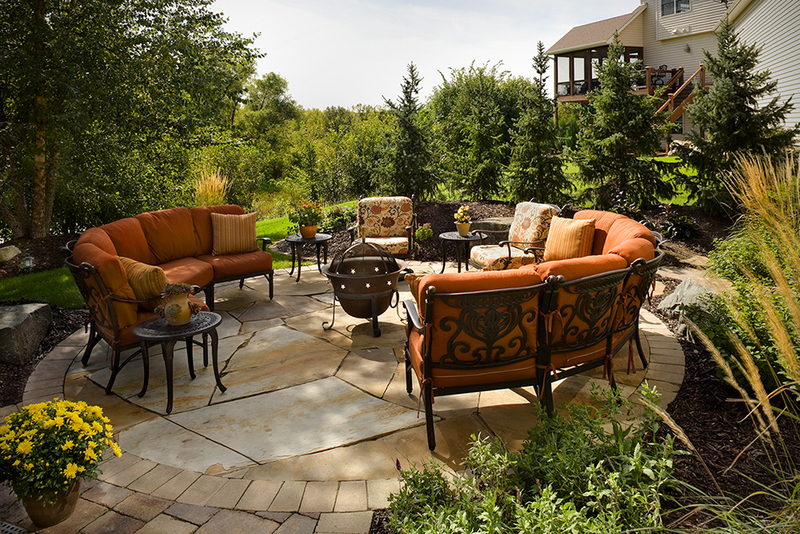 A blend of Savanna flagstone and pavers help define and create each space. • The under deck space was enhanced with under decking, heaters and a ceiling fan to keep the space dry and comfortable throughout the entire year. 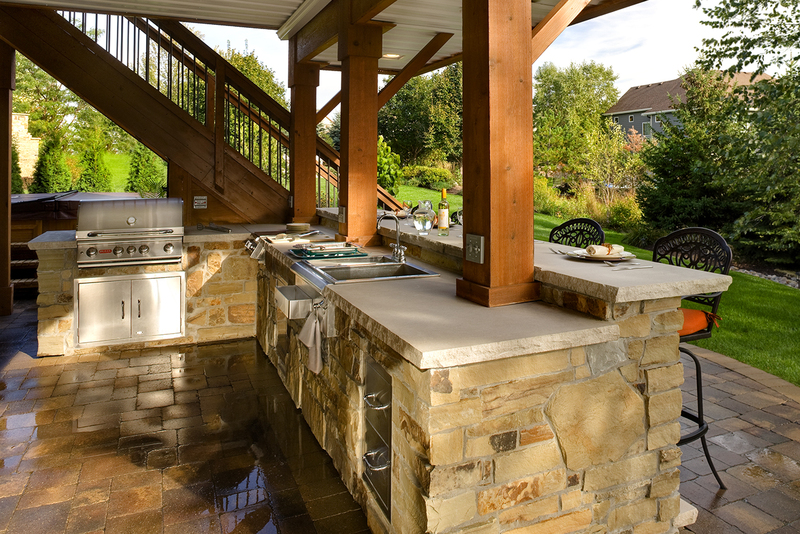 • An outdoor kitchen was designed and built as an extension of the existing porch structure, featuring plenty of countertop space, storage, a cocktail sink, grill and serving bar. • Berms and plantings surround the space, making it feel secluded yet welcoming to family and friends. 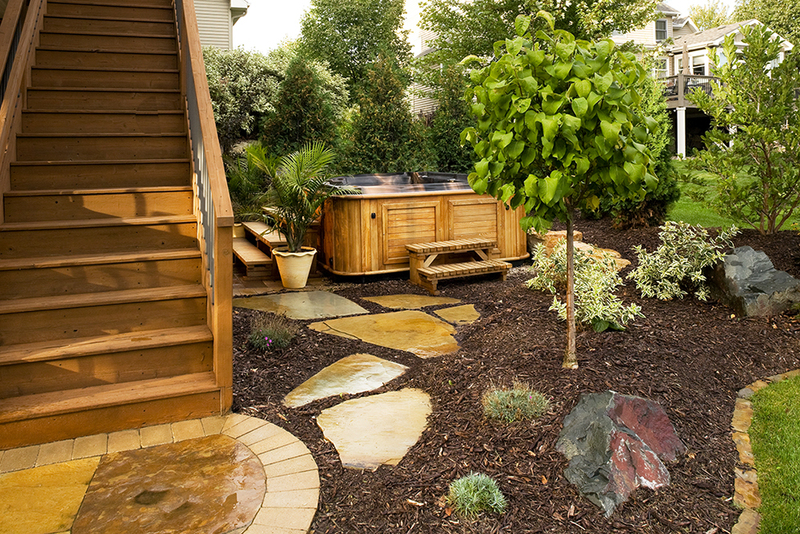 Want to redo your landscape?